Buoyed by two impressive victories in the nation’s premier league, St. Mary’s is No. 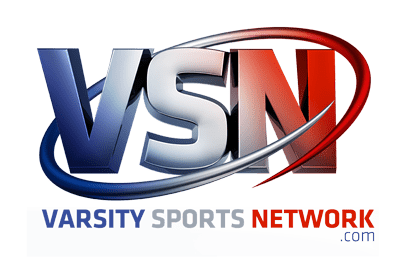 2 in the latest VSN Boys Lacrosse Top 20. The Annapolis school stormed past then-No. 4 Loyola Blakefield, 14-7, Friday evening at Pascal Field, thanks to a 14-2 run. The Saints ran off nine of 10 goals Tuesday, paving the way to an 11-9 decision at then-No. 2 St. Paul’s School. St. Mary’s travels to Towson Tuesday afternoon for a showdown with two-time defending champ and top-ranked Calvert Hall College. The Hall and St. Mary’s are followed by Gilman School, St. Paul’s School and Loyola in this week’s Top 5. Century and Archbishop Curley joins the latest poll. The Friars enter after beating MIAA B rival and then-No. 19 Glenelg Country School while unbeaten Century debuts, thanks to its victory over Towson. Pictured above: St. Mary’s lacrosse team huddles during a timeout in Friday’s match with Loyola Blakefield. The Saints defeated the Dons and then-No. 2 St. Paul’s School, pushing them to 2nd in the latest VSN Boys Lacrosse Top 20 poll. Last week: The Cardinals defeated No. 6 McDonogh School, 15-11, and John Carroll School, 15-2. Last week: The Saints defeated then-No. 4 Loyola Blakefield, 14-7, and then-No. 2 St. Paul’s School, 11-9. Last week: The Greyhounds defeated then-No. 7 Mount St. Joseph, 11-1. Last week: The Crusaders defeated then-No. 8 Severn School, 15-10, and lost to then-No. 5 St. Mary’s, 11-9. Last week: The Dons lost to then-No. 5 St. Mary’s, 14-7, and defeated then-No. 6 McDonogh School, 10-8. Last week: The Eagles lost to No. 1 Calvert Hall College, 15-11, and then-No. 4 Loyola Blakefield, 10-8. Last week: The Lakers defeated John Carroll School, 13-7. Last week: The Owls defeated Manchester Valley (14-6), C. Milton Wright (12-5) and Francis Scott Key (16-7). Last week: The Falcons went 3-0, defeating Annapolis (12-4), then-No. 11 Glenelg (12-7) and Chesapeake-Anne Arundel (16-2). Last week: The Cavaliers defeated then-No. 18 Mount St. Joseph, 11-6, and then-No. 8 Severn School, 11-10. Last week: The Bruins defeated Southern, 18-5, and Mount Hebron, 23-3. Last week: The Admirals lost to then-No. 2 St. Paul’s School, 15-10, and then-No. 12 Archbishop Spalding, 11-10. Last week: The Eagles defeated Long Reach, 15-6, and Northeast, 21-1. Last week: The Knights defeated Francis Scott Key, 17-3, and then-No. 14 Towson, 4-3. Last week: The Generals defeated Sparrows Point, 17-6, after a 4-3 loss to Century. Last week: The Mustangs defeated then-No. 11 Glenelg, 7-6. Last week: The Gladiators lost to then-No. 15 Marriotts Ridge, 7-6, and then-No. 10 Severna Park, 12-7. Last week: The Bulls defeated Perry Hall (14-9), Catonsville (9-4) and Dulaney (8-6). Last week: The Friars defeated then-No. 19 Glenelg Country School, 11-7, and Friends School, 14-3. Last week: The Lions defeated Mount Hebron (9-7), Southern (8-3) and Easton (12-5).